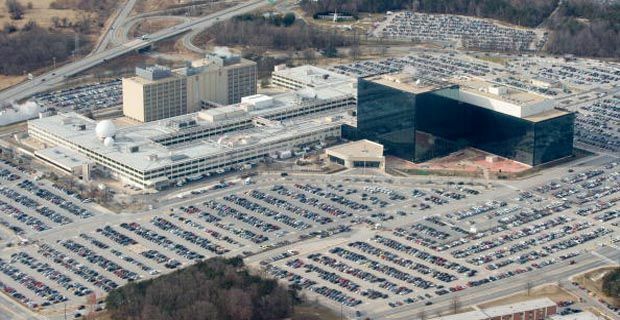 A federal judge in Washington DC has ruled that the NSA’s collection of American telephone records is likely to violate the US Constitution. Judge Richard Leon made his ruling on Monday in the most significant legal development this far in the Snowden scandal. He described the NSA data collection program as ‘almost Orwellian’ and went so far as to say the James Madison, who drafted the first ten amendments of the constitutions would be ‘aghast’ at the government’s behaviour. His ruling came in a case brought by two private citizens, Larry Klayman, a lawyer, and Charles Strange, father of an NSA employee killed in Afghanistan. His decision has been put on hold pending an inevitable appeal, but the reverberations were already being felt. The case is now set to go to the federal court of appeals, and could conceivably go all the way to the Supreme Court. “Plaintiffs have a substantial likelihood of showing that their privacy interests outweigh the government’s interest in collecting and analysing bulk telephony metadata and therefore the NSA’s bulk collection program is indeed an unreasonable search under the fourth amendment,” he wrote. Edward Snowden welcomed the judge’s opinion as a vindication of his decision to expose the NSA program. He may have needed some good news after a glimmer of a potential amnesty for him was snuffed out by White House spokesman Jay Carney, although if NSA actions are ultimately and definitively deemed illegal, his legal status in the US may have to be re-evaluated. The news came as a blow for the NSA shortly after they conducted a bizarre and clumsy attempt at PR through CBS’s 60 Minutes program, a journalistic embarrassment for the network that their credibility may struggle to recover from. Old sperm better than no sperm.